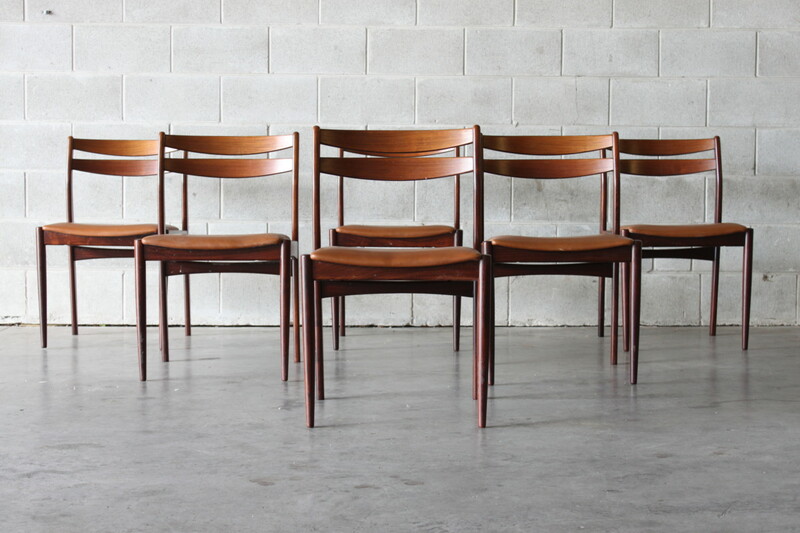 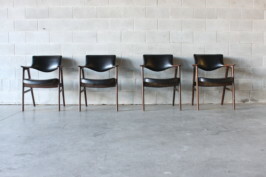 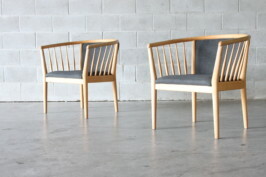 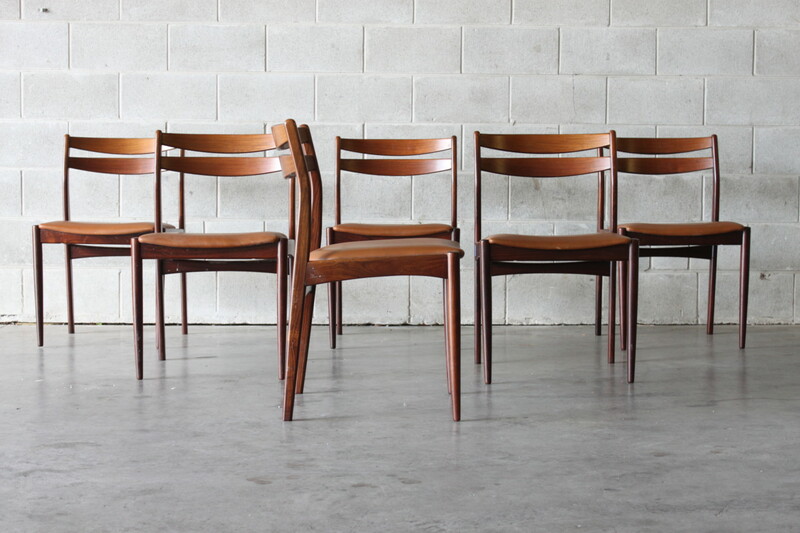 Nice Danish dining chairs made of rosewood and original tan leather covers. 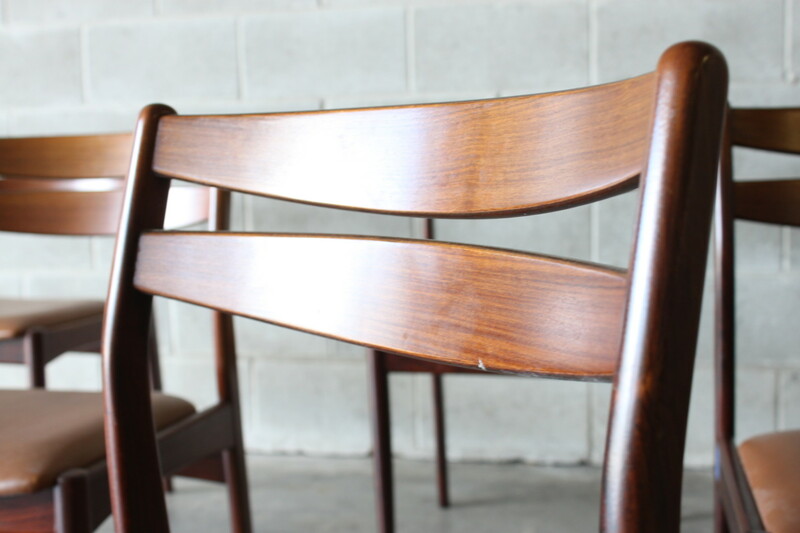 Great build quality and a nice clean set . 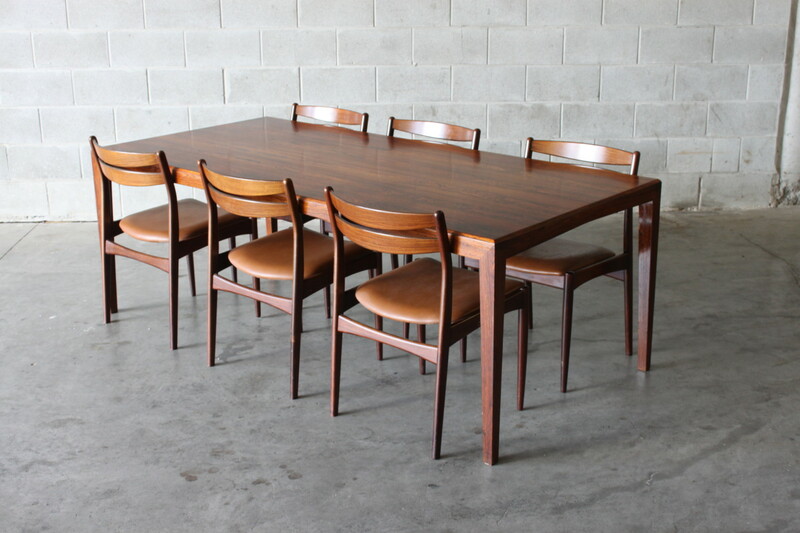 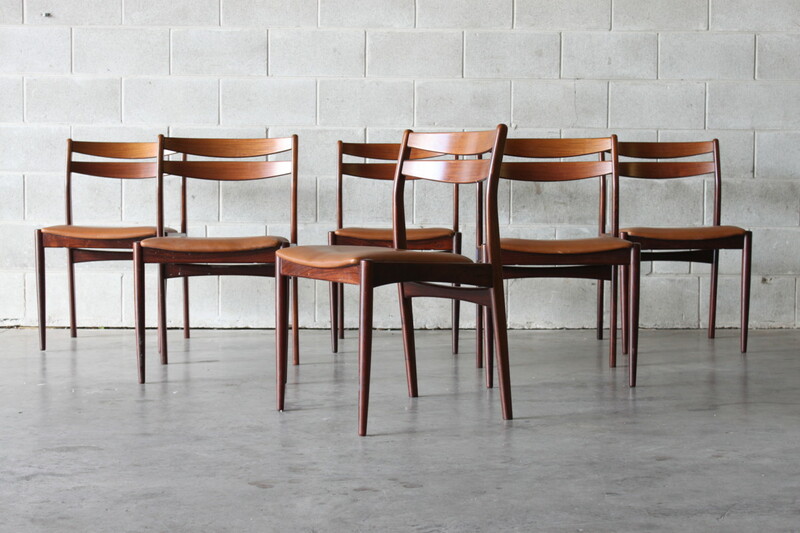 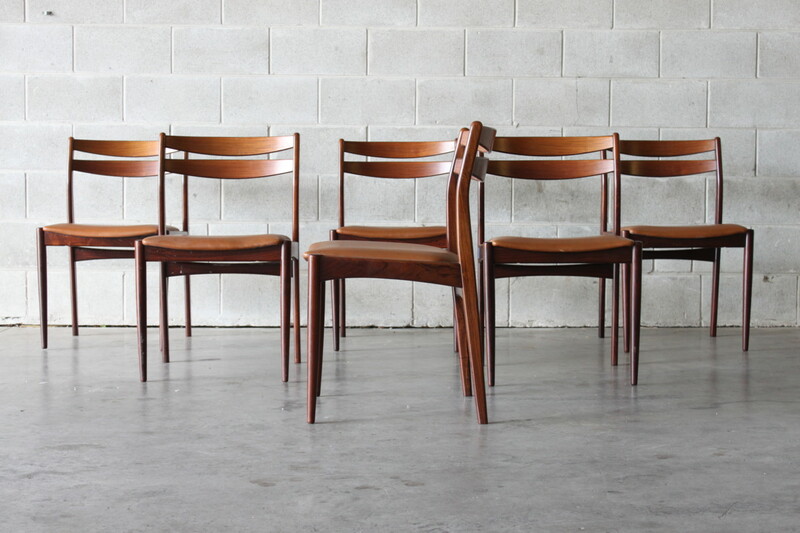 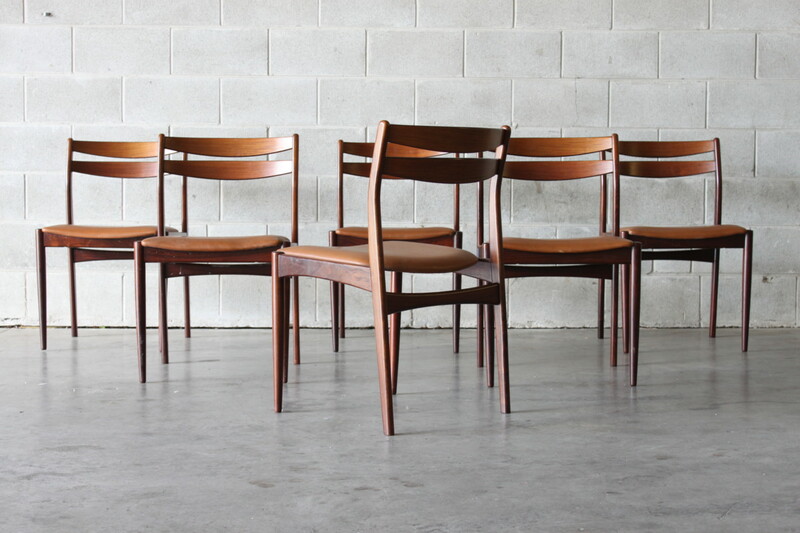 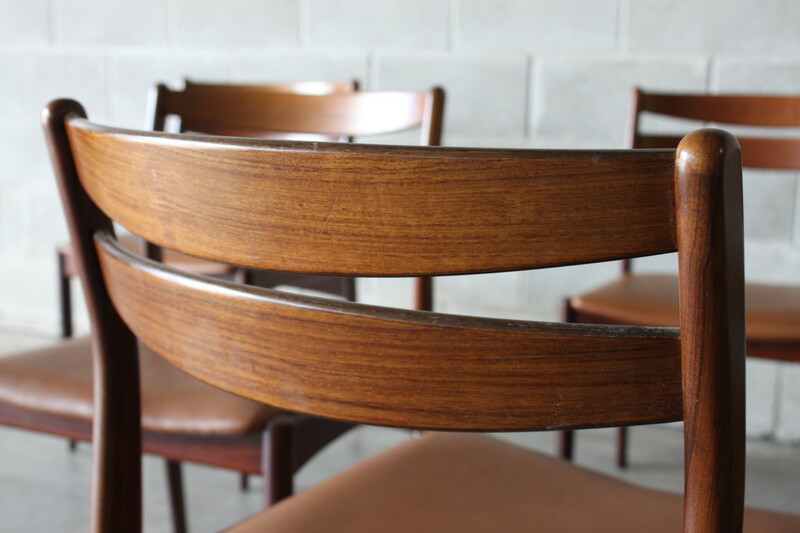 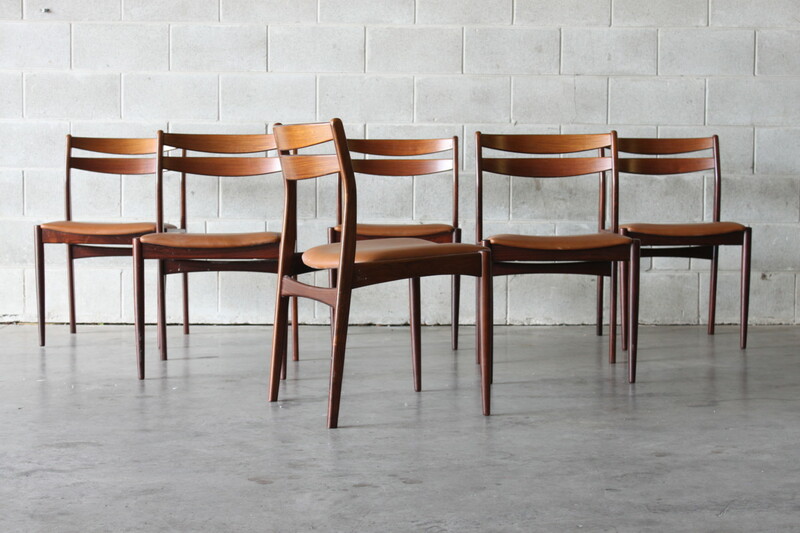 We have multiple rosewood dining tables that would work with these chairs.